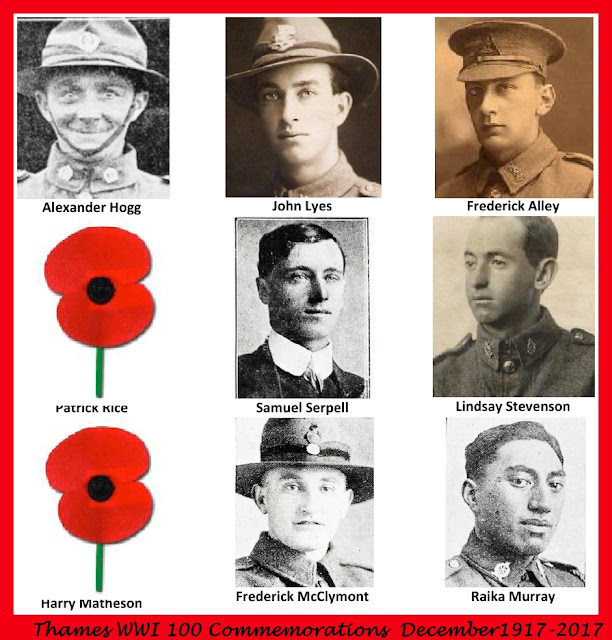 During the month of December 1917, 100 years ago, NINE Thames men lost their lives in the Great War. 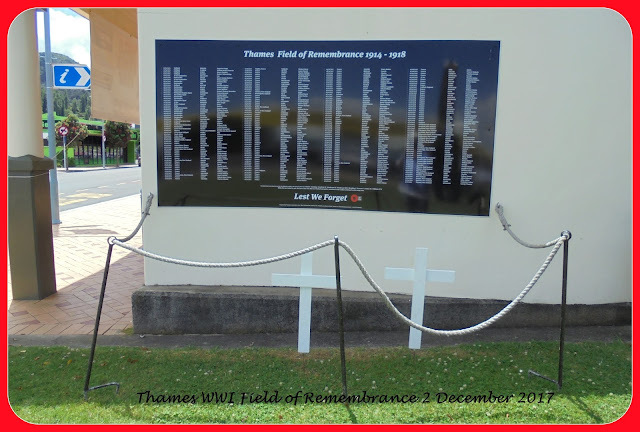 During the month, crosses will be placed by TCDC staff in the Field of Remembrance outside the Thames War Memorial Civic Centre. The photograph below was taken today, the crosses have been put out to remember Alex Hogg and John Lyes who died 3 December 1917.